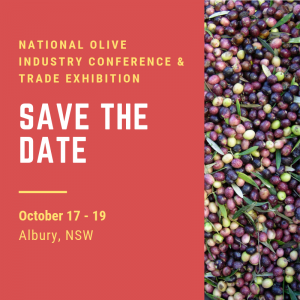 The National Olive Industry Conference is the annual premiere networking and educational event in the olive industry calendar. Growers from all across Australia attend this event to discover what’s worth buying and to learn about advancements made within the industry. © Copyright 2018 by Australian Olive Association . All Rights Reserved.